The inspiration behind Ratio was to create an automatic coffee maker that combined beauty, simplicity and quality into a single experience. Introducing Ratio Eight – a smart coffee maker which has evolved the precision of a pour-over into a simple and elegant one touch ritual. 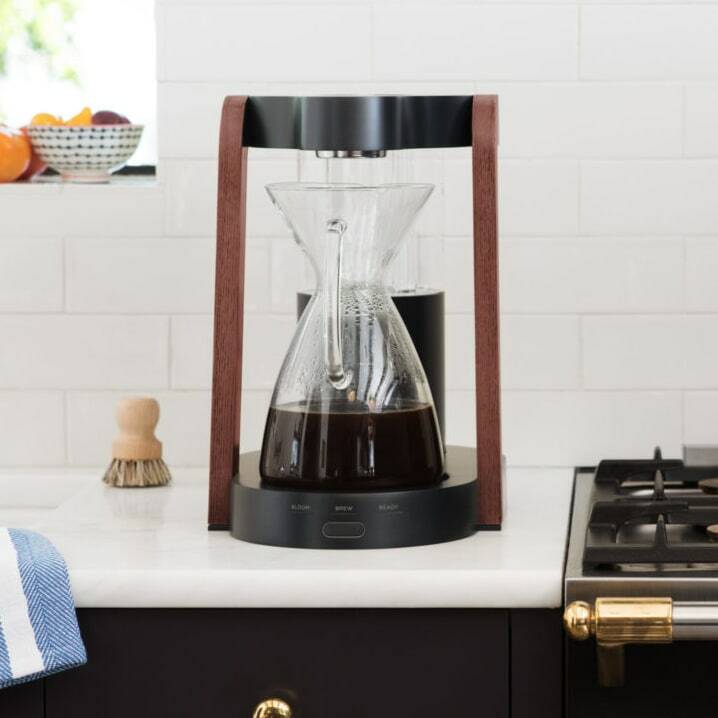 Ratio hand assemble all their brewers in Portland, USA, using real wood, cast aluminium and handblown glass components – for a coffee brewer that is built to last. Ratio Eight has been engineered to give you extraordinary coffee at the push of a button. 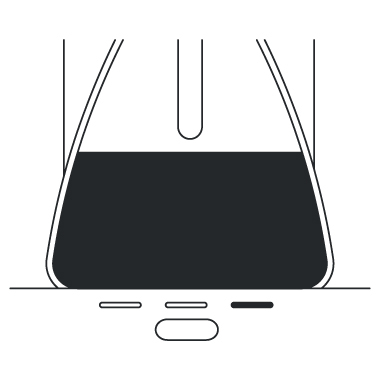 Emulating a manual pour over by first distributing hot water on a bloom cycle, sensors then determine the optimal brew time based on water level and delivers the rest of the hot water at the ideal temperature. This process allows the grounds to breathe, and aids in the extraction of flavour. 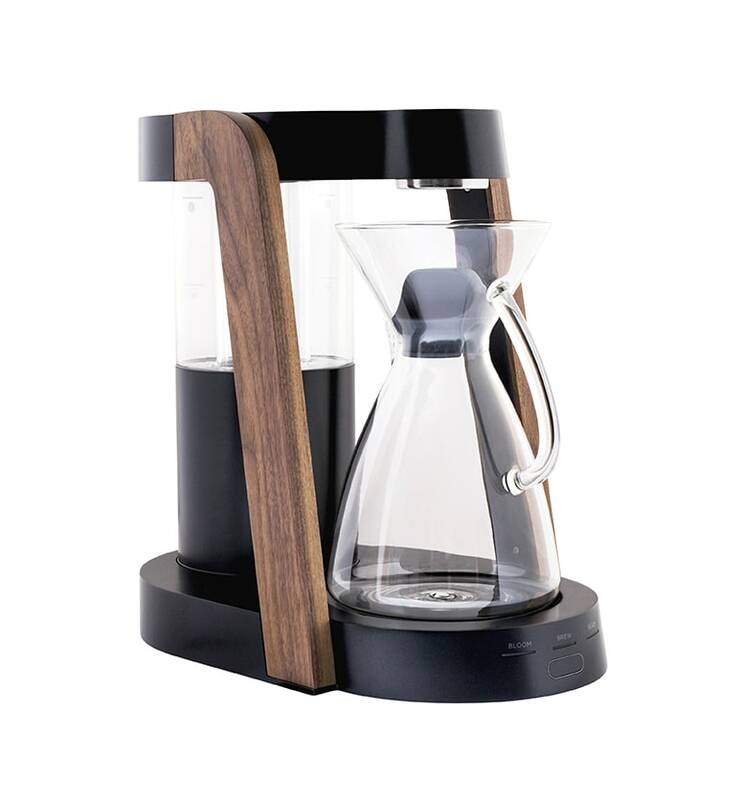 The Ratio Eight detects how much water is in the tank and will adjust the brew cycle accordingly – so whether you want a carafe of coffee or simply one cup, simply push the button and Ratio will do the rest. A LED light key will tell you where in the brew cycle the machine is, allowing you to sit back and relax. Ratio Eight first distributes a small amount of water to allow the coffee to bloom. 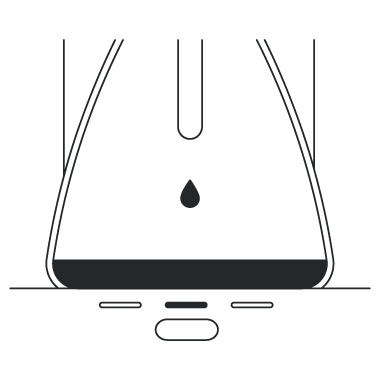 Sensors then determine the optimal brew time based on the amount of water in the tank and the brew begins, delivering water at the ideal temperature between 90C and 96C. Depending on the amount of water you add, brew time will take between 4 and 7 minutes. LED light indicators will tell you where in the brew cycle the machine is. Made from laboratory-grade borosilicate glass, Ratio’s beautiful glass carafe has a capacity of 1 litre. 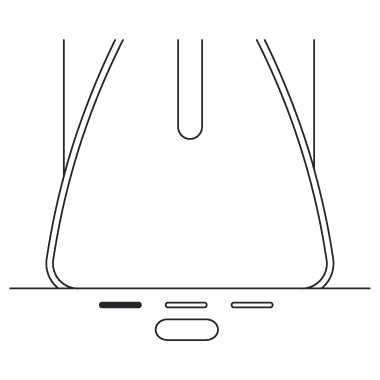 Featuring a silicone base with a magnetic activator which engages the Ratio Eight Brewer; once the carafe is removed, the Ratio Eight will turn itself off. 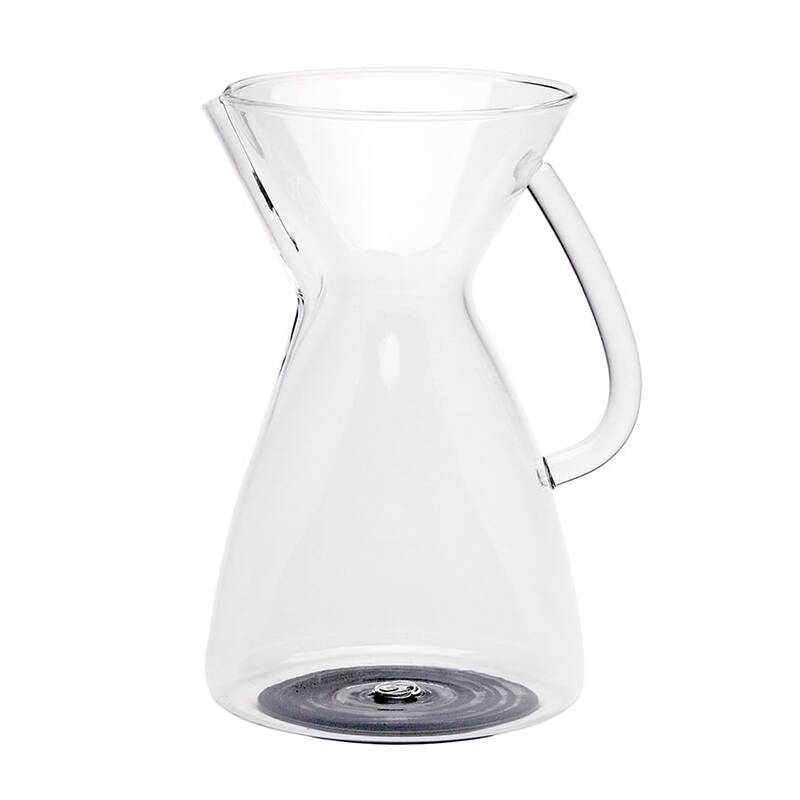 Ratio’s thermal carafe combines function, elegance and durability. Made from double walled stainless steel to keep your coffee hot for up to 4 hours. 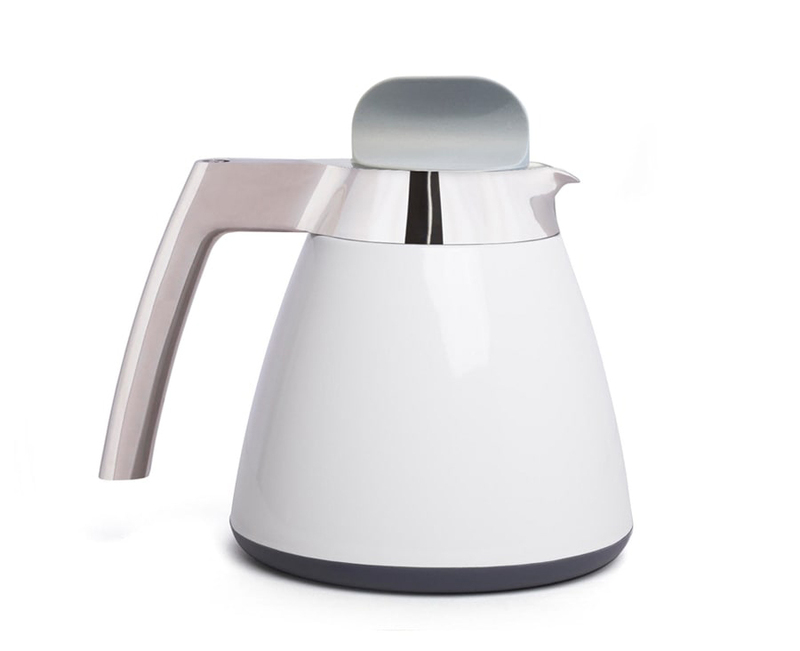 A precision pour spout and counterweighted handle means you can pour straight into your cup without any drips.